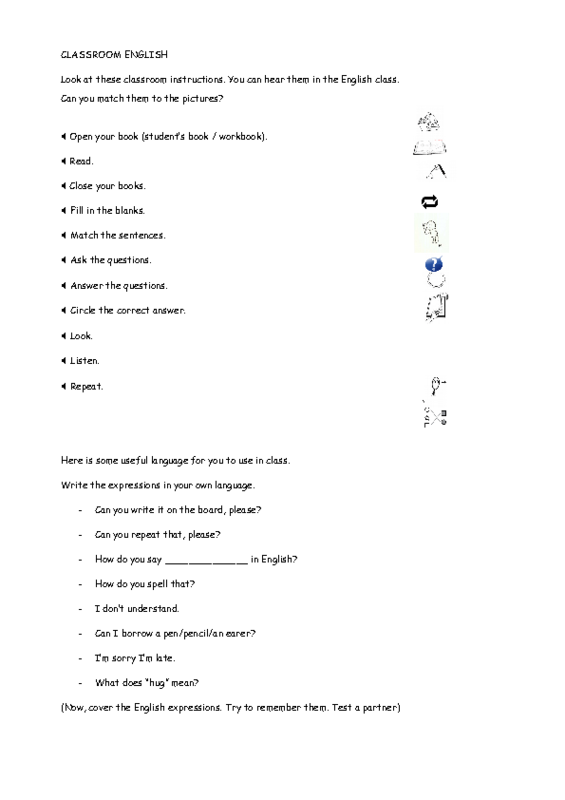 Match these useful classroom expressions with the adequate pictures. 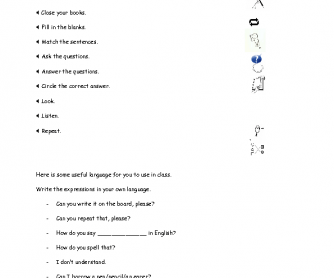 This activity can be used after having taught the basic structures to communicate in English in the classroom. The average level could be beginner and it could also be used as a warmer too.